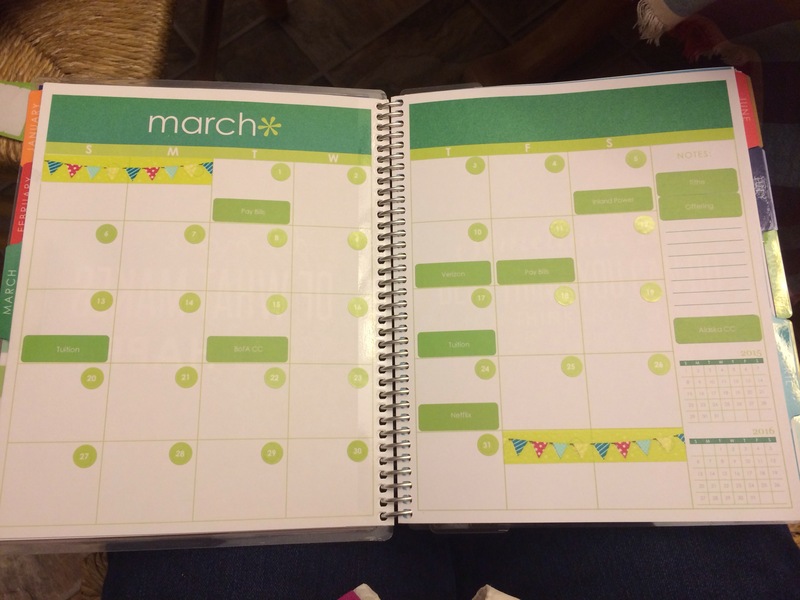 Keeping track of finances doesn’t just “happen”. 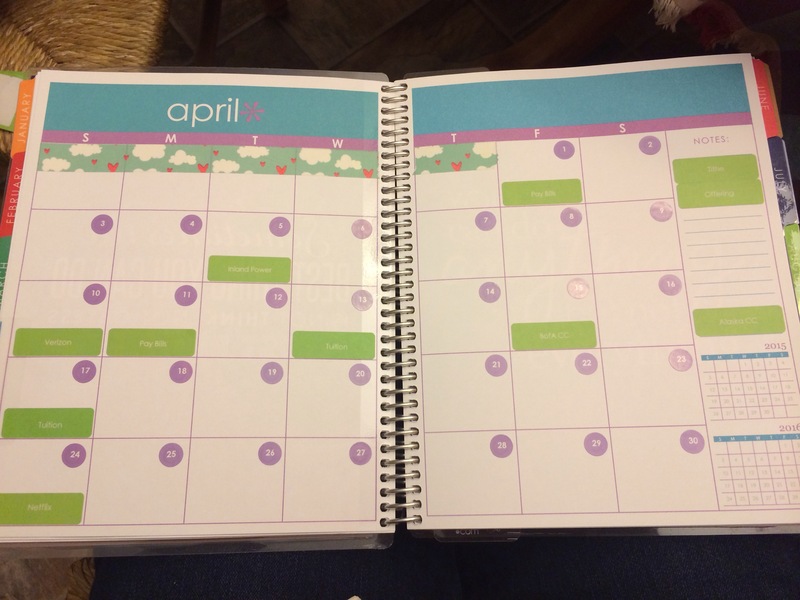 I really enjoy using the Erin Condren Deluxe Notebook to organize the bills due and to keep track of the movements of our money. 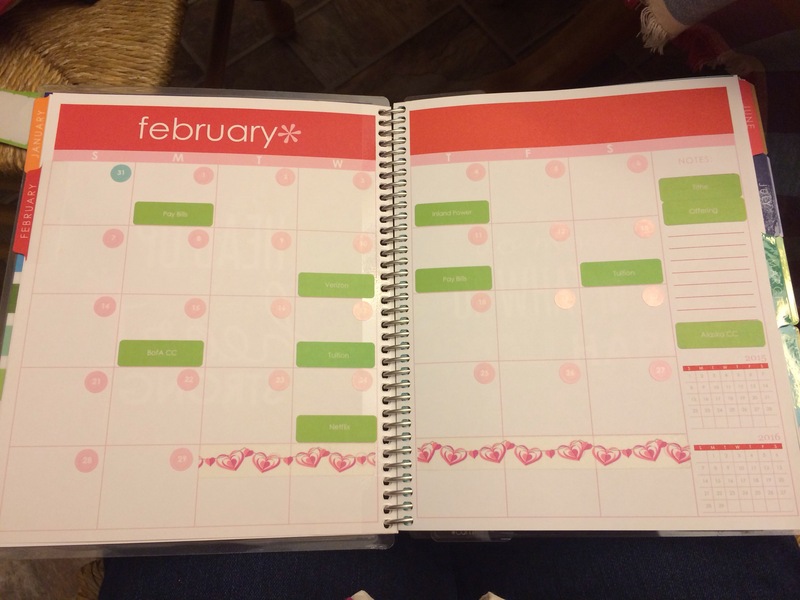 Being able to see things laid out each month is so helpful with budgeting and knowing what is coming due and making sure bills are paid on time! 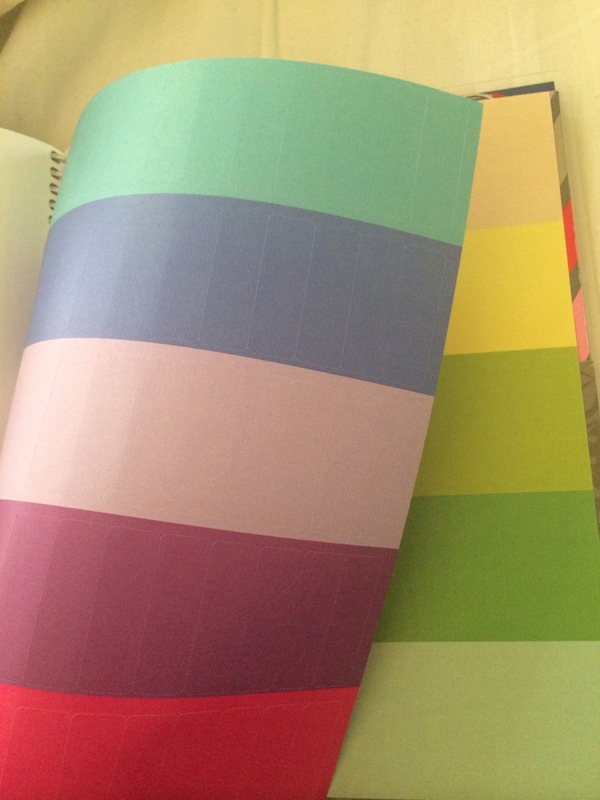 All of the green labels are customized with our payees, but the notebook does come with 2 sheets of blank event stickers, and next time I plan to just use those and write on them with my Pilot G2 pen. I’ve shared the cover of my notebook before. 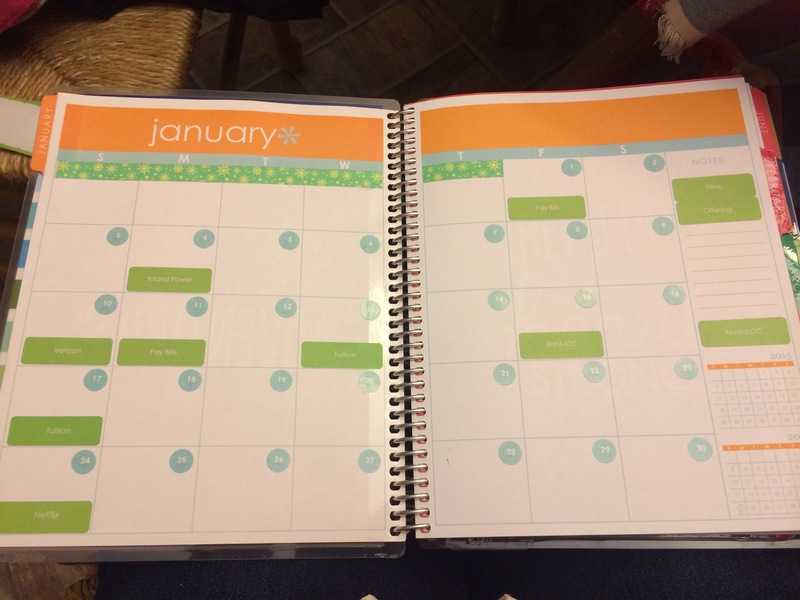 It’s great that it’s removable because I was able to just move this onto the new notebook for a new year. I really do use this as a money journal. 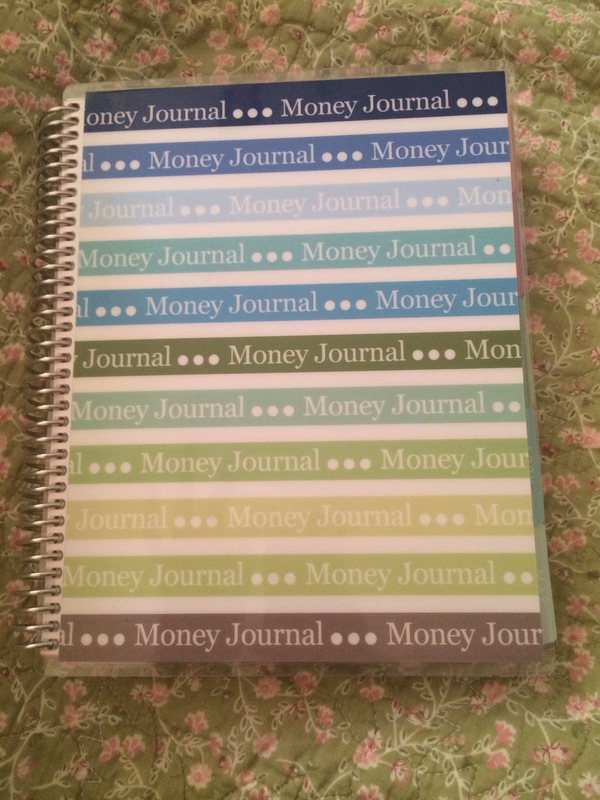 It’s especially helpful with keeping track of transfers, when I move money between accounts, and jotting down details about anything else money related.